I was super excited to get an oolong tea in my Sips by box. I've been wanting to cook a savory dish with a good oolong tea. I've experimented with chicken, shrimp and tuna. I had some lamb in the freezer and decided to give it a shot! First things first, white2Tea has such cool packaging :) The clover patch tea that was in my box is described as having an intense floral fragrance and a mineral mouth feel. 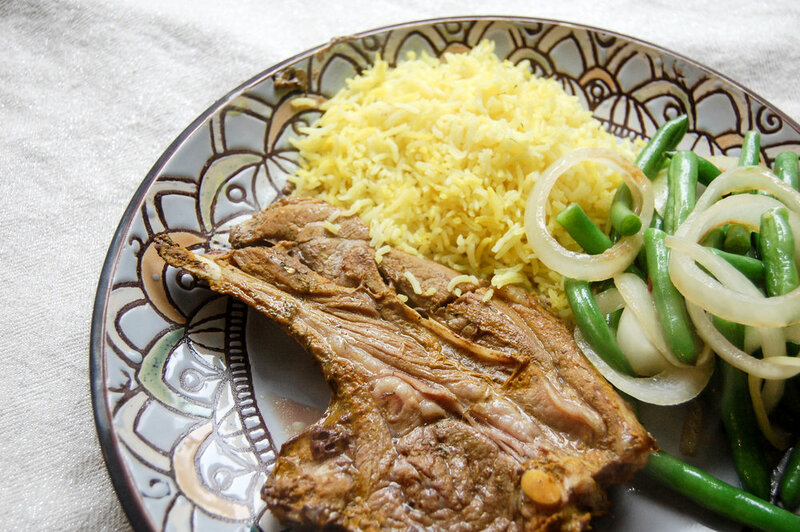 Growing up in an Iranian household, lamb is very familiar to me and I like it very much. Lamb is very intense because it's rich and fatty. Although this oolong is also described as intense I thought that the floral fragrance and it being a rock tea would be a great addition to the lamb. I went back to my roots a bit and combined some of my favorite flavors for this marinade. Turmeric and dill are central to many Iranian dishes and I love how they taste on meat. This tea can be steeped 5x so after my steep for the marinade I decided to steep the leaves a few more times for myself! P.s. this GORGEOUS, hand painted dish is something I scored in Amalfi. It's actually an olive dish but I thought this was a great way to show off it's beautiful design. 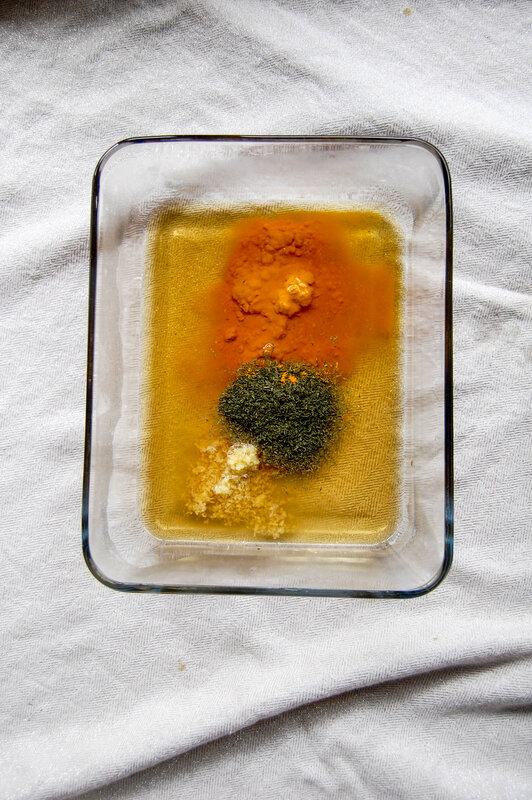 A warning about turmeric which you may or not know: do not overdo it. Turmeric has become really trendy due to it's health benefits but on meat too much can be a bad thing. It has a potent flavor and you don't want it to take over all the other flavors! I used a bit more than a teaspoon in my recipe but I think that's a good amount to use. The tea is very subtle in this recipe and If I were to do it again I think I may steep the tea several times and compare the bases! All in all, it was delicious and a simple dinner for any lamb lover!